Firemen themed circus fun for the whole family. 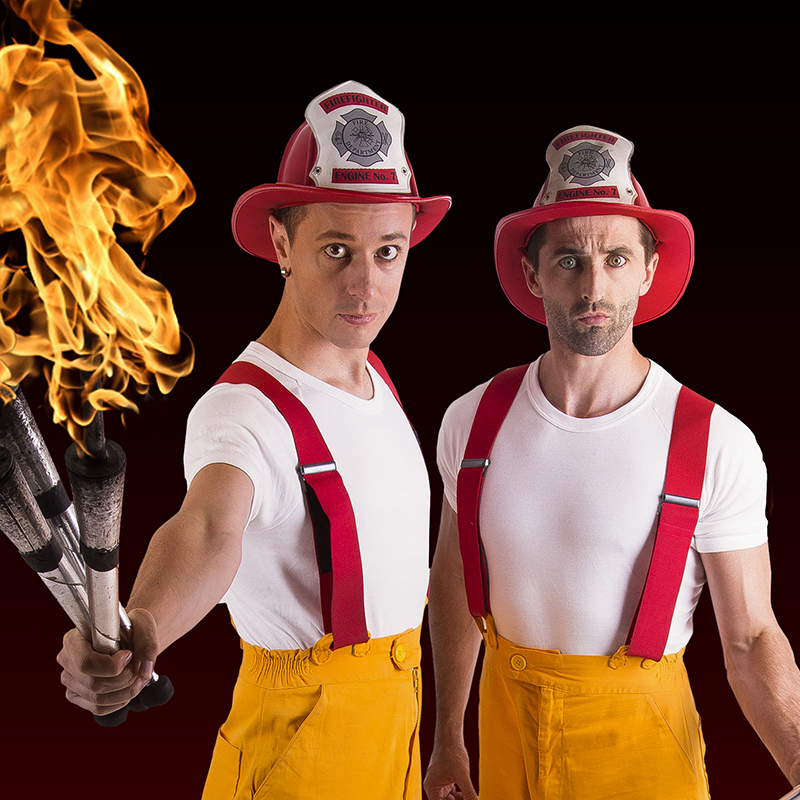 The Circus Firemen turn up the heat with high energy acrobatics, red hot fire juggling, and hilarious physical comedy. These two brothers have been touring the world for over ten years with their award winning circus comedy style. ★★★★ "The Circus Firemen is a show for children presented by two incredibly skilled performers who get that children don't want to be patronised, and that there needs to be enough in there to keep the grown-ups happy too.